There’s something so elegant and soothing about neutrals. They exude effortless beauty that gives a space a simple yet enticing look. However, sometimes introducing a pop of colour or adding just a few conspicuous details is all it takes to make a neutral colour scheme truly shine. With just a few creative ideas, you can give your kitchen an enchanting flair while keeping the timeless value of its neutrals. 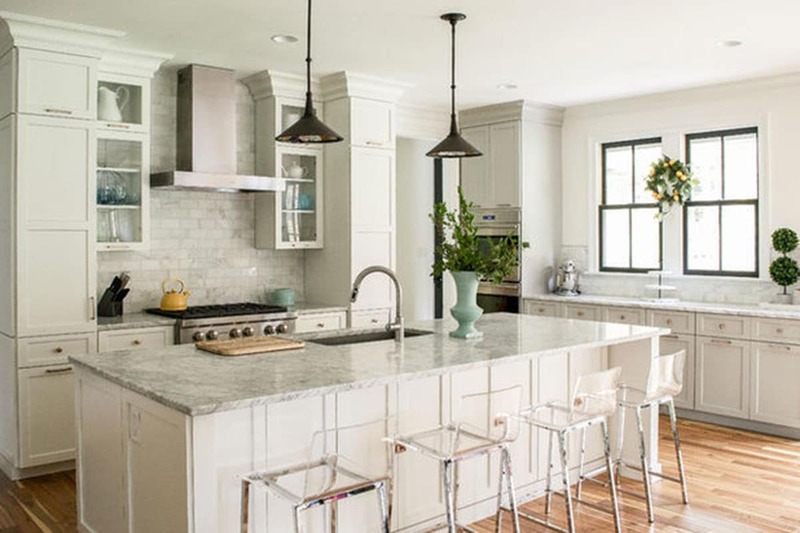 While an all-white kitchen can look quite elegant and pristine, sometimes it can lack character and seem a bit “sterile”. For a more mesmerising look, you should create a bold contrast by introducing a dark hue. 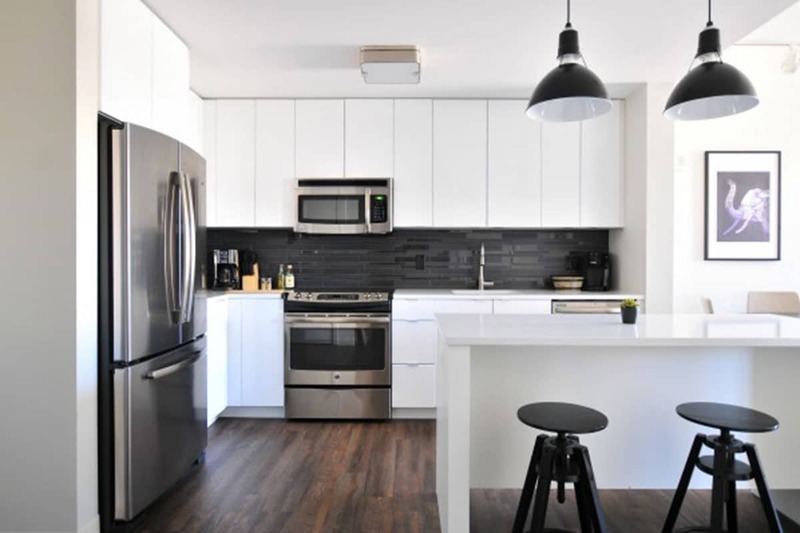 Black is a perfect choice that will break the monotony and give your kitchen a more intriguing character. Not only will it create a more enticing visual appeal, but the black-and-white combination has always been a classic, sophisticated choice. Dark grey or navy blue can also create a balance and stunning contrast against the soothing nature of neutrals. A neutral colour palette isn’t only about different shades of white and beige. It’s also about ivory, taupe, subtle greys, pale browns and other hues that can all be mixed and matched to create a stunning visual interest. What makes neutral colours so popular is their understated character that enables design enthusiasts to layer different elements without going overboard. Thus, you should experiment with various neutral shades to give your kitchen a rich, elegant look. A neutral colour scheme can at times seem too sterile, which can significantly reduce the visual appeal and cosiness of a space. However, combining a neutral palette with the warm tones of wood is just the perfect solution for creating a cosier, more inviting space. One of the most popular solutions is installing wooden flooring, a timeless choice in interior design. You can choose from laminate, softwood and hardwood options, each one with its own advantages and disadvantages. You can also use wood for the cabinets, furniture and decorative details to give your kitchen a warm and homey appeal. Decorating your countertops and open shelves is a simple yet effective way to introduce unexpected pops of colour to your neutral kitchen. All you need to do is display your colourful mugs, ornamental pots, decorative bowls and even spices in glass containers. Just a few colourful details will be enough to give your kitchen a cheerful character without letting clutter build up. Although stainless steel is a classic choice for a contemporary design, there are other options that can help you create a stunning visual appeal in your kitchen. You can give your kitchen a lovely shine by using brass or gold finishes for faucets, hardware and decorative details. Rose gold has become one of the most popular finishes, creating a warm, inviting environment. You can use the Whirlpool Sunset Bronze finish for your appliances, a beautiful hue that works perfectly with neutral cabinets. Not only will you create a cosy environment, but you’ll also give your kitchen a stunning, romantic flair. 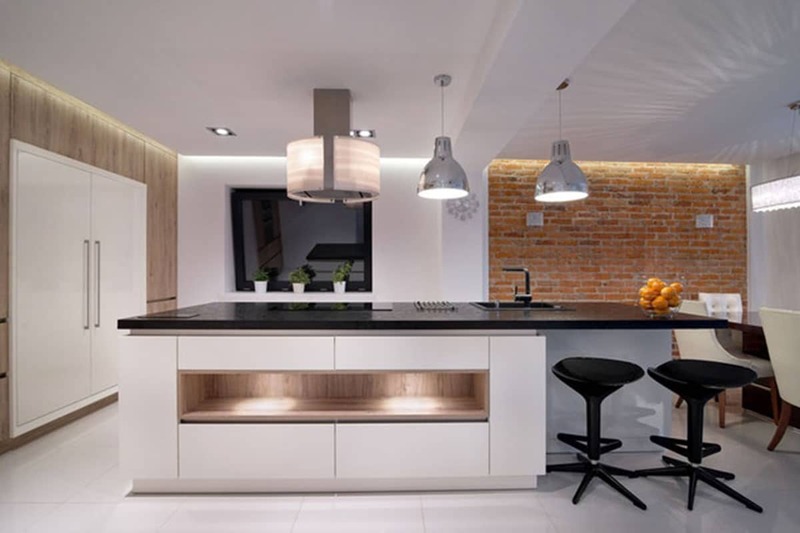 Stylish lighting fixtures can work as mesmerising accent details in your kitchen that will not only provide you with bright light, but that will also elevate your kitchen décor. Depending on the general style of your kitchen, you have plenty of options to choose from. You can even install wooden lighting fixtures to complement your hardwood floors and create an authentic atmosphere. 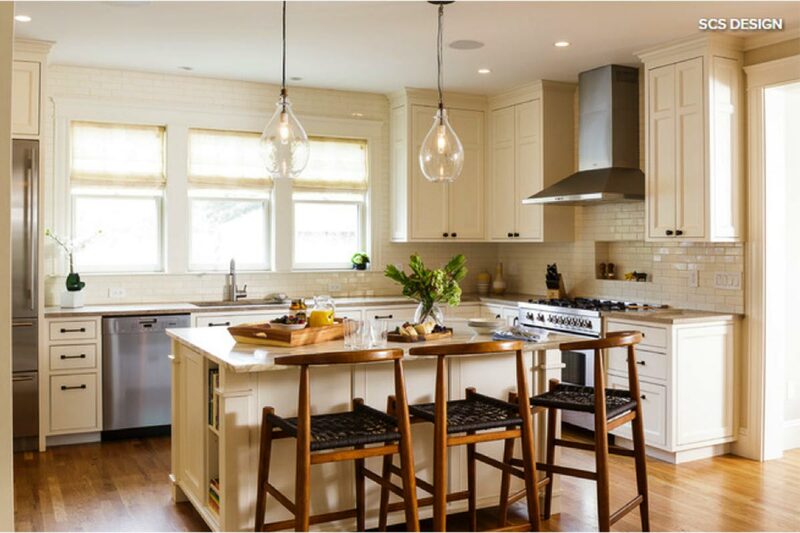 A lovely pendant light above your kitchen island will work as an eye-catching focal point while also providing you with enough focused light necessary for slicing and dicing. No space is complete without a touch of nature. Introducing colourful flowers, houseplants and herbs to your kitchen will give it an organic, positive look. You can place a vase of fresh flowers on your kitchen island, as well as several pots of fresh herbs on your window sill. Not only will plants brighten up your kitchen, but they will also keep it open and airy by purifying indoor air. A neutral colour palette for your kitchen will certainly give it a classic, elegant look and a timeless value. However, by introducing a pop of colour or some more conspicuous details, you will create a stunning visual appeal that will complement its neutral character. Credits: Lana Hawkins is the editor-in-chief of Smooth Decorator. She enjoys writing about interior decoration and landscaping. Lana is interested in sustainability and green building, and that’s where she gets most of her inspiration from. If you need help for your kitchen contact Us today!.